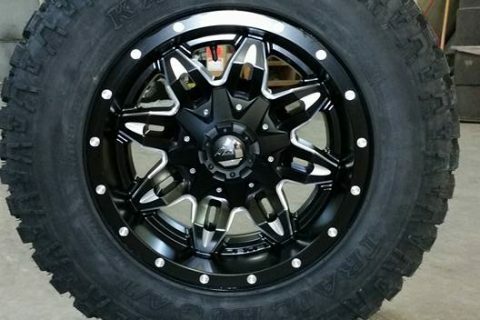 We offer a full range of wheel services to vehicle owners in Great Falls. Our professionals know how to handle a wide range of tire applications. Whether you drive a passenger car or medium sized truck or SUV, we strive to ensure that your tires will be performing at their best before leaving our shop. We can help you with everything from an mounting balancing and finding the right tire size for your vehicle. 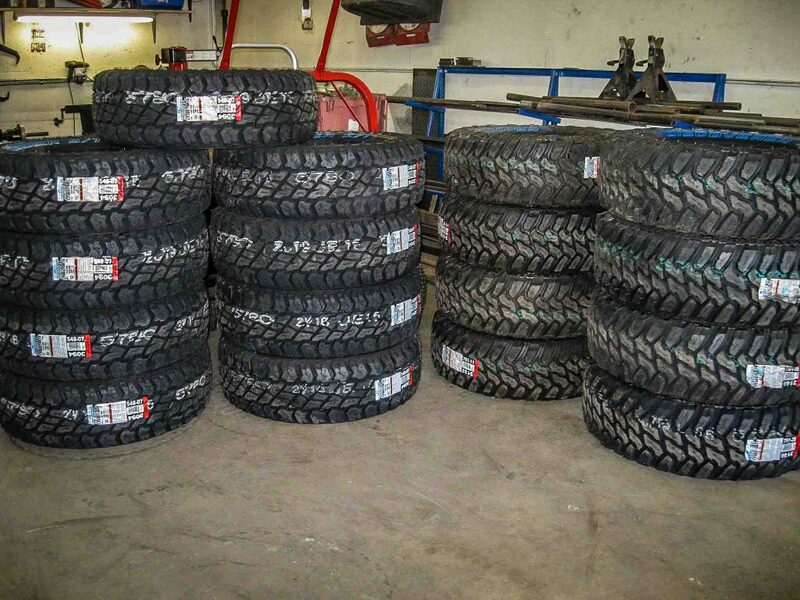 We can handle any tire for both foreign and domestic vehicles. 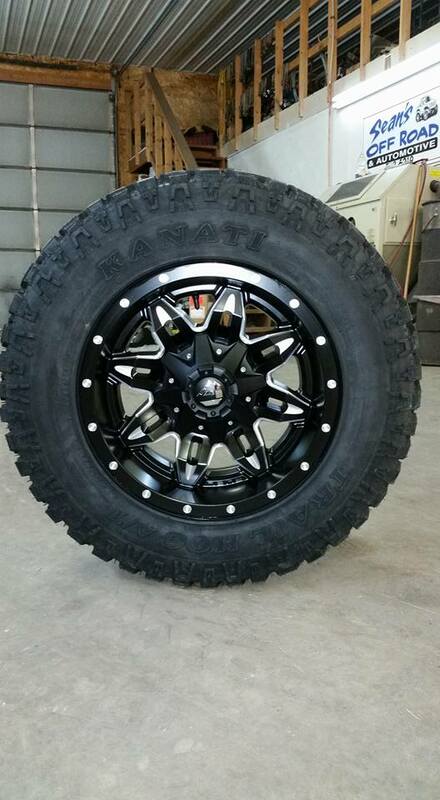 Looking to buy some new Off Road truck wheels and tires? If you’re just looking to grab the biggest, most wicked-looking truck tires available, there are a few things you should probably know before you go about doing so. Whether you’re sand-racing, rock-crawling, mud-plowing, or whatever other Off Road activities conceivable, it’s important to understand precisely why you need a set of Off Road truck tires. A common misconception with regard to truck tires is that you need them for improved traction on rugged terrain, and naturally, the general consensus suggests that larger tires equate to more traction. While such an assumption makes sense, it is not entirely accurate. True, the right Off Road truck tires can provide some additional traction in Off Road conditions, but there are better, more efficient ways to improve traction than simply bulking up the rubber. If traction is your primary concern, a traction differential (locker) with stock truck tires is more beneficial for your rig than just adding a set of taller, more aggressive truck tires. Or for that matter, a winch is probably a smart idea before anything else. A locker could inspire excessive boldness, causing you to get caught in some real jams and then you’ll wish that you opted for the winch instead. 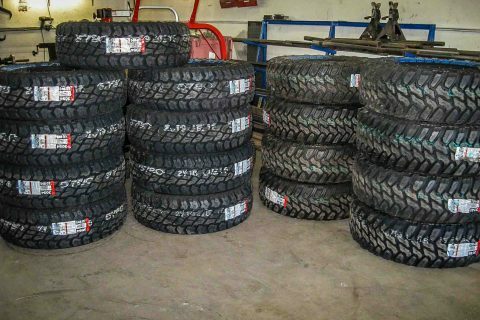 The point is larger truck tires are meant first and foremost for the purpose of raising the height and ground clearance of your rig to enable steeper ascent and descent in Off Road terrain. Simply put, when driving over boulders, slogging through mud, coasting across the desert, or even just making your way through the occasional forest trail, higher ground clearance facilitates negotiating certain obstacles. Not to downplay the traction aspect of Off Road truck tires, as a set of mud terrain bias tires will most definitely perform better in the mud than a set of all-season radials. Rather, improved traction is more of a secondary function that still bears importance, but is not the sole consideration when it comes to buying truck tires. Are you ready for taller Off Road truck tires? 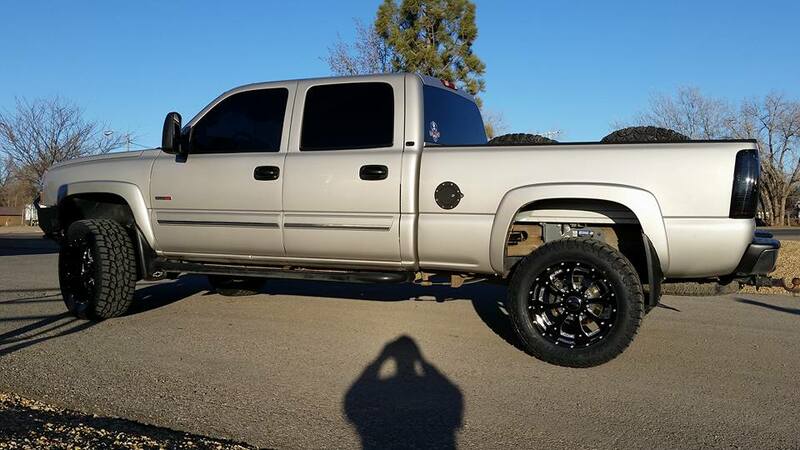 Buying a set of taller truck tires for your 4×4 is like making a marriage work; it involves sometimes drastic changes, sacrifices, and commitment, along with constant care and maintenance. On the other hand, at least you won’t have to remember anniversaries. The first thing to keep in mind is that upgrading to taller truck tires means upgrading a number of other components in your vehicle as well, beyond a new set of truck wheels. Additional inches of vehicle clearance are needed for the truck tires to fit without rubbing against the vehicle fenders. A suspension lift, body lift, or a combination of both can provide those additional inches. For Off Road purposes, a suspension lift is preferable for the increase in wheel travel ability, whereas a body lift simply allows for the fitment of larger tires without any performance enhancements. Larger truck tires also mean that your vehicle will be working harder to tote additional weight, which can result in significant strain to your axles and shocks, and also alters the gear ratio set by the manufacturer. To compensate for these changes, new ring and pinion gears and performance shocks (many complete lift kits typically include shocks) are strongly recommended. To counteract the additional weight and loss in performance, custom intakes, exhausts, computer chips, or any other performance-enhancing components are also advised. Any driver will tell you that radial truck tires have innumerable advantages over bias ply truck tires. In fact, the tire industry has almost completely abandoned manufacturing bias truck tires, save for a few exceptions. Yet despite that bias truck tires come attached with a number of disadvantages, they still have their advantages when it comes to Off Road conditions. Bias truck tires provide unmatched performance in extreme Off Road situations, such as deep mud, jagged rocks, and rough trails. The tread is designed to self-clean and release mud or foreign objects much easier to assist in maintaining traction and the rubber compounds are softer to produce better grip on rough terrain. Additionally, the tire sidewalls are typically reinforced to prevent damage. On the downside, however, the ride and wear characteristics of bias truck tires on pavement are rather poor. High speed street driving is an uncomfortable and noisy endeavor, and a set of bias ply truck tires won’t last much more than twenty to thirty thousand miles. Even for Off Road situations, while low air pressure bias truck tires will deliver excellent performance, the center tread will still take a beating. Although Bias truck tires are ideal for the extreme Off Road enthusiast, this is not to suggest that radial truck tires aren’t effective on harsh terrain. On the contrary, the latest radial truck tires perform quite well in Off Road situations, and are designed with versatility in mind to produce better road handling characteristics, even at high speeds. While radial truck tires may not provide the same traction or performance as a set of low air pressure bias truck tires, their longevity, handling, and smooth ride on paved roads makes up for it. Radials are perfect for the weekend Off Road enthusiasts who see a lot of driving time on paved roads. Tire sizing can be a tricky thing, mostly because the size of truck tires you have in mind is dependent upon a number of factors. The most obvious question is first whether your vehicle is capable of handling the size of truck tires that you want, and if not, what modifications do you need to make in order for the truck tires to fit? Unfortunately, there aren’t any universal, all-authoritative guides available to simplify the process, since customization and modification is vehicle-specific. Your best bet for getting a better idea of your Jeep’s specifications is to contact the manufacturer. This will give you a general sense for what your vehicle is capable of so that you don’t exceed its limits, or that you have the right parts installed in case you do. 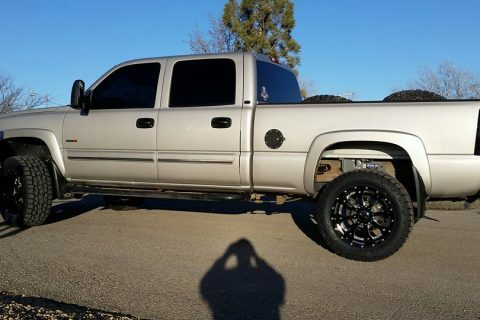 In terms of choosing the right lift kit, wheel and tire packages, accessories, and knowing what modifications to make, we can assist you in making these complex decisions. Before plunging headfirst into the sea of Off Road truck tires and coming out with the meanest, most intimidating monsters you can find, you have to at least know what type of monsters will best suit your Off Road needs. First and foremost, you need to ask yourself a few questions. What type of Off Road activities will I be doing the most? How much on-road and Off Road driving will I do? What qualities in particular am I most concerned with — durability, performance, traction, appearance, ride quality? How much am I willing to spend? Taking some time to consider these important questions can help to narrow down what type of truck tires are best for you. All season truck tires usually have no business going Off Road, as their composition and tread designs are not built to handle beatings from Off Road conditions. 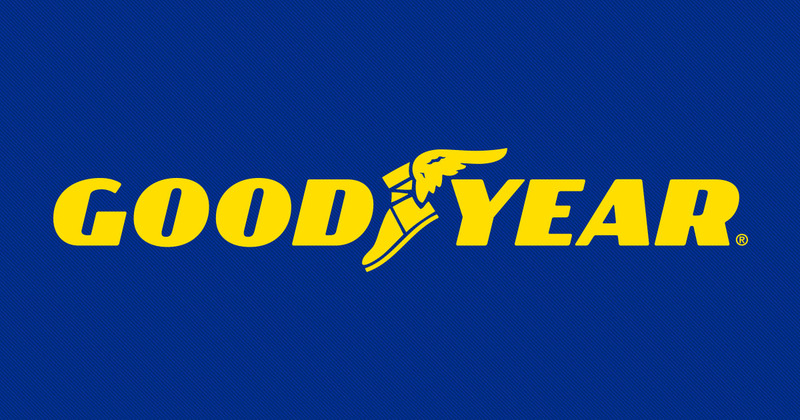 They do, however, provide long-lasting tread that excels on wet or dry paved roads and offers tremendous longevity. Most stock vehicles come equipped with all season tires. For vehicle enthusiasts adding larger truck tires just for show, all-season truck tires are likely the most efficient way to go. Granted, you won’t get that aggressive look that’s quite popular as of late, but that may be a small price to pay for truck tires that will last you tens of thousands of miles longer than more aggressive truck tires. Versatility is the name of the game when it comes to all terrain truck tires, which typically makes them a jack of all trades but a master of none. As a result, a broad range of all terrain tires are available, based on whether a tire’s focus is on or Off Road performance. Typically, all terrain truck tires are built with Off Road standards in mind and then are modified in certain areas to improve street performance. The end result is truck tires that can handle everyday driving, as well as some light to moderate Off Road conditions. For the most extreme Off Road performance, all terrains won’t perform as well as specialized Off Road truck tires, but on the road, they offer peerless longevity, even wear, and excellent durability. Designed for extreme Off Road conditions and little else, rock crawling and mud terrain truck tires employ aggressive tread designs that extend to the sidewalls, giant lugs with deep voids, and reinforced sidewall construction to create tires that will grip any surface and remain durable in the process. Extreme terrain truck tires typically carry many of the same features, and consequently many mud terrain tires make excellent rock crawling tires, and vice versa. Extreme terrain truck tires come in either radial or bias ply, but do their job best in a low air pressure bias ply, which allows the tread to conform to surfaces for increased traction. Yet despite that extreme terrain tires are composed of durable, cut and puncture resistant compounds, they usually do not produce very much mileage when driven on the street, particularly at high speeds. In addition, due to the wild tread designs and huge lugs, extreme terrain tires can cause a bumpy ride and are quite noisy on the road.